Wellness Exams | Animal Medical Center Rogers, AR. At Animal Medical Center in Rogers, AR, we believe that regular checkups and wellness exams are critical to your pet’s well-being. These wellness exams give us a chance to evaluate the overall health of your pet while also giving us a baseline for their own unique bodies and tendencies. 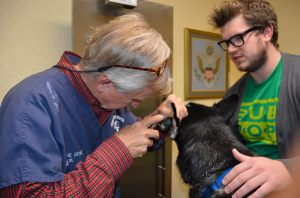 At Animal Medical Center we make post follow up phone calls to ensure each patient is progressing in a timely manner. Future check ups are a crucial part of the healing process and highly recommended. For same issue check up exams we do not charge an exam fee at all.